Fifty years ago tonight, “Where No Man Has Gone Before,” the second Star Trek pilot, was the third episode of the series to be shown in the U.S. (It was the first to be shown in the United Kingdom.) This was the first Star Trek episode I really liked in 1966. Partly because it had cool ideas, partly because it had Sally Kellerman, but mainly because of Mr. Spock. Leonard Nimoy shaped his famous character over many episodes. Spock was the only main character from “The Cage,” the first pilot, to carry over to the second pilot. Its fascinating to see how the famous Vulcan evolves in these early episodes. In “Where No Man Has Gone Before” Mr. Spock wants to kill Gary Mitchell as soon as he thinks he’s a threat, and at one points strides around with a very large phaser rifle looking like a hot-headed enforcer. This aggressive nature disappears after this episode. 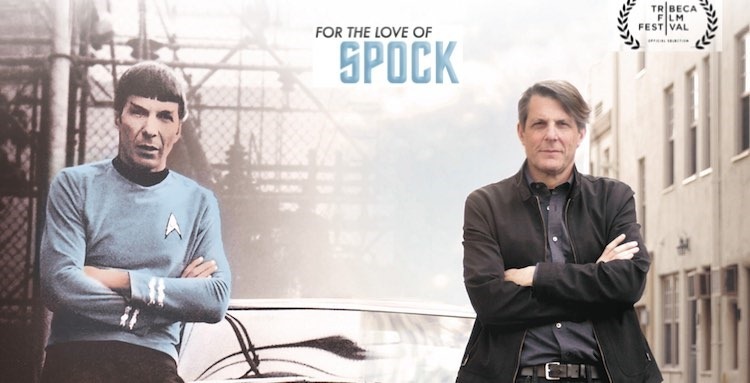 Last night I watched For the Love of Spock, a documentary about Nimoy and Spock made by his son Adam Nimoy. I highly recommend this film, which I rented on Amazon, as well as rewatching these early episodes to see how the Spock character emerged on the show. 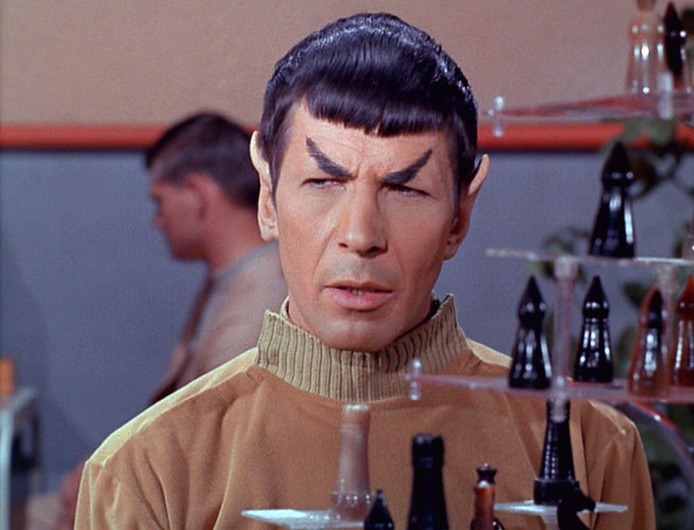 Mr. Spock even looks different in each of several episodes. For the Love of Spock is a wonderful tribute to Leonard Nimoy, and a history of a fictional character. I actually learned more details about Nimoy from William Shatner’s recent book, Leonard, but more about Spock from the documentary. Shatner’s book was about a friendship. The subtext of Adam Nimoy’s film was father and son. Nimoy was so much more interesting than his most famous creation, so I assume detail biographies in the future will be worth reading. Mr. Spock was the only character in Star Trek that I really liked. In an interview in For the Love of Spock, William Shatner admitted feeling professional jealousy in the early days of the show, when Nimoy got the larger portion of fan attention. Shatner said Roddenberry told him that he should embrace Nimoy’s good fortune because that fan mania would make both Shatner and the show a success. I’m not sure Star Trek would have succeeded without Mr. Spock. And, this documentary could have been called Where No Man Has Gone Before, because its about a real man becoming a myth in his own lifetime. Early on Nimoy tried to escape that fate and wrote, I Am Not Spock. Eventually he wrote, I Am Spock. For those who wish to know all the compulsive details of the episode “Where No Man Has Gone Before,” I recommend reading about it as Memory-Alpha. What I want to do is continue my remembering of 1966 impressions of the show and compare them with my 2016 viewing. Every time I write about these old episodes of Star Trek I feel like I’m trying to get into character, of me in 1966. Seeing photographs and home movies of Leonard Nimoy and his family from the 1950s and 1960s reminded me just how different things were back then compared to today. In just a few years, normal life changed. Television is no measure of reality, but the transition from 1966 to 1969 was somewhat like going from That Girl to All in the Family. But the fifty-year transition was like the background life you saw in The Fugitive evolving into the background life you see in Breaking Bad. Living from 1966 to 2016 could be filmed as “Where No Human Has Gone Before.” The fourteen-year-old kid who watched Star Trek in 1966 assumed the future would be dramatically different. I never figured we’d evolve powers like Gary Mitchell, but I expected the future would be science fictional. What’s weird is we’re living in a very science fictional era, but everyone seems to be wearing clothes fairly similar to 1966. People look about the same. Houses look about the same. Cars are different. TVs look different. But living rooms and bedrooms are very similar. In 1966 you saw more ordinary, even homely people, on TV. Today, everyone is beautiful and buff. There were lots more character actors back then. Nimoy always said he wanted to be a great character actor. It was Shatner that wanted to be a lead. The walk-on characters you saw on Perry Mason often seemed like people you saw on the streets back then. If you want to see normal people today you have to watch the local news, or Walmart people on YouTube, because TV isn’t very representative. To be honest, a story about flying to the edge of the galaxy and having two people become god-like in their abilities, is about as realistic in 1966 or 2016 as reading Greek Mythology or Marvel Comics. In 1966 I wished I could speed-read like Gary Mitchell, once his latent psychic powers emerge. It would have been great help with homework. But why did the writers of this episode assume Humans 2.0 would have no ethical qualms about killing 1.0 Humans? What was cool in 1966 to a 14-year-old kid, seems lame to a 64-year-old man. Why couldn’t writers imagine evolved humans actually being better beings? Either as science fiction or allegory, the plot of “Where No Man Has Gone Before” reveals the pitiful nature of our species. Our one tool solution for every problem, no matter how smart we are, is to kill, kill, kill. In that, Star Trek pegged the future, our present. It’s a shame we all didn’t become more like Mr. Spock, or at least more creative, like Leonard Nimoy. As young people, we had such hopes for the world, peace and prosperity and kindness and embracing others. I look around at our xenophobia and nationalism and fears and wonder what happened. Watching the big short last night didn’t help. However, I will strive to keep my Pollyanna attitude.